The best way to experience poetry is by hearing it. Even better is to hear it recited — and then explored through the lenses of history and personal anecdote — by one of the most talented actors at work today. 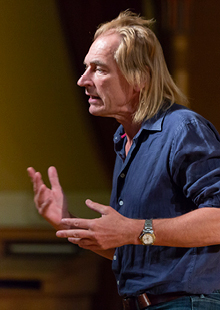 British actor and director Julian Sands — recognized around the world for his roles on stage and screen, including Room with a View, The Killing Fields, and 24 — returns to Santa Fe after a sold-out performance last season to explore his favorite poetry from the anthology of the Keats-Shelley Memorial Association, John Keats and Percy Bysshe Shelley: Essential Poems. With all of his characteristic wit and charm, Sands will take you on a journey during this one-man show that traverses the breadth and depth of human emotion, leaving you with a far deeper appreciation for the spoken word.